In 2002, when the concept of green building practices was still, well, green, a small group of builders, architects, engineers and planners founded the Delaware Valley Green Building Council to promote sustainable design and construction. Now the organization has changed its name to Green Building United and embarked on the Philadelphia 2030 District initiative, a major new public-private partnership to drastically reduce energy and water consumption, and emissions generated by buildings in Philadelphia. The 2030 District is part of a network of 18 such districts in the U.S. and Canada, representing more than 358 million square feet of commercial real estate, and providing participants with access to shared strategies, best practices and other resources to achieve cost savings while lessening environmental impact. “Due to a lack of federal support, it’s now more important than ever for cities to join the national initiative to create healthier, more sustainable buildings,” explains Dews. 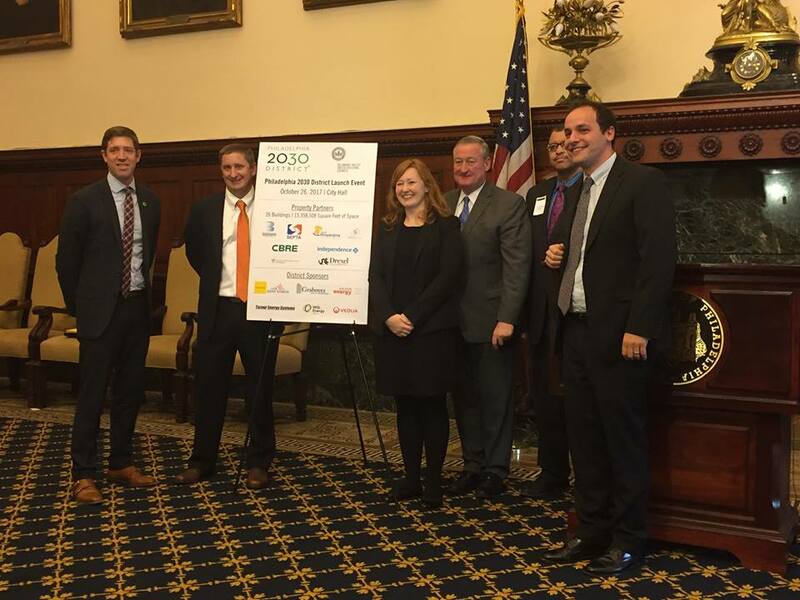 The Philadelphia 2030 District, launched in late October, already has more than 15 million square feet of space in Center City and West Philadelphia pledged to cut energy and water usage, and transportation emissions by 50 percent by 2030. Early participants include Brandywine Realty Trust, a large commercial real estate holder that has committed its entire property portfolio, SEPTA, the School District of Philadelphia and Drexel University.